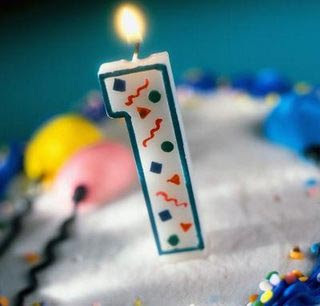 It has been a year since I started the blog Sounds Brazilian. It has been a joy to write about my passion for music and to inquire into its potential to affect our consciousness. During this time I have also had the chance to interview wonderful artists and music lovers. During its first year the blog was visited 2093 times. The most visited post was What did Jacqueline Kennedy and Brigitte Bardot have in common? viewed 330 times followed by the interview with Anie Nunnally (viewed 212 times) and the interview with David Darling (viewed 147 times). All these posts have the soothing Brazilian Music Bossa Nova in common. Helô Pinheiro, currently 68 years old. It seems the subtle waves of Bossa Nova have continued to resonate with many hearts throughout the decades. One of the most popular songs in the world, the bossa nova Garota de Ipanema (Girl from Ipanema) is also celebrating an anniversary. It has been 50 years since Tom Jobim and Vinícius de Moraes felt enchanted by the beauty of the young carioca girl, Helô Pinheiro who regularly passed by them on her way to the water at Ipanema beach in Rio de Janeiro. Still powerful, this song is the second most recorded music composition in the world attracting people from different ages and cultures. The latest singer to fall in love with this ‘girl from Ipanema’ was Amy Winehouse. Take a listen to her interpretation of this classic. This entry was posted in Uncategorized and tagged "Amy Winehouse", "bossa", "garota de Ipanema", "girl from ipanema", "www.josehgarcia.com", Amy Winehouse in love with a girl, Amy Winehouse in love with a very special girl, bossa nova, brazilian jazz, Brazilian Music, Classic, Helô Pinheiro, Joseh Garcia, standard, Tom Jobim, Vinícius de Moraes. Bookmark the permalink.